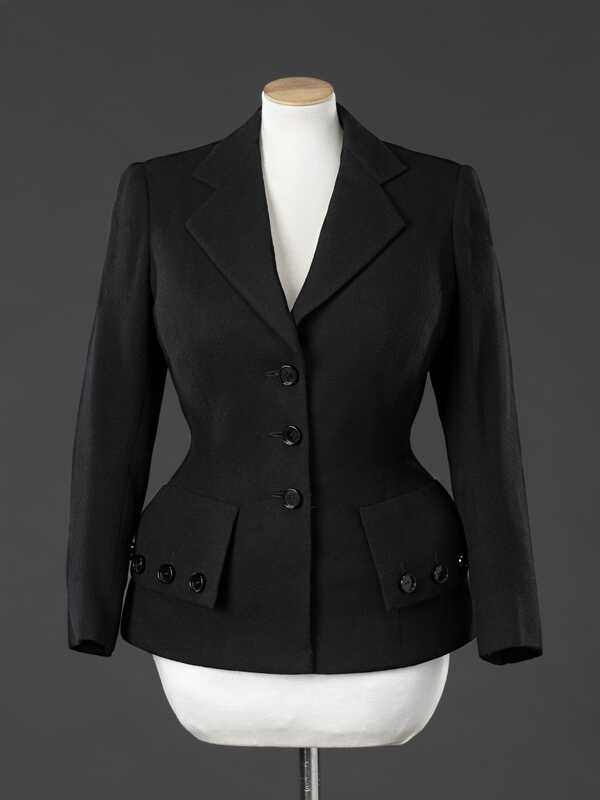 After having worked for the couturière Lucile and serving in the First World War, the Anglo-Irish designer Edward Molyneux established his couture business in 1919. He quickly became successful, with a rich and fashionable clientele. 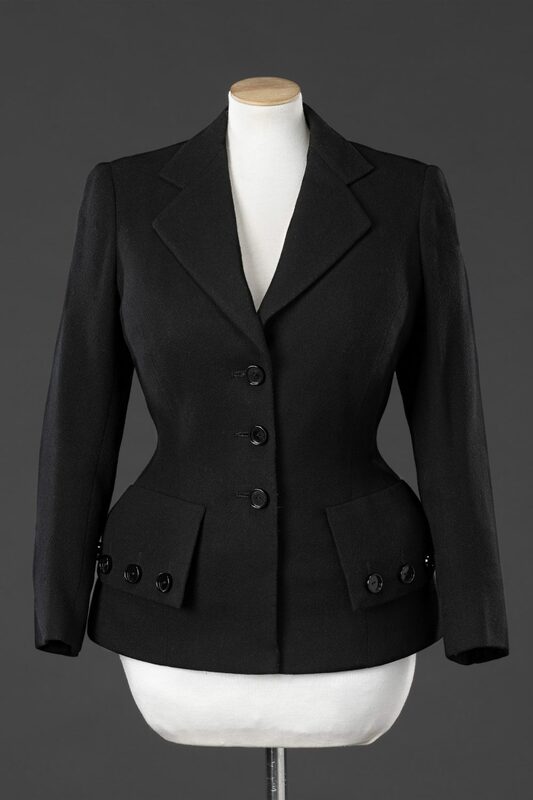 Having attracted a number of British clients, in 1932 he opened a London branch where he was patronised by several members of the Royal Family including the chic Princess Marina, Duchess of Kent, whose wedding dress and trousseau he supplied. 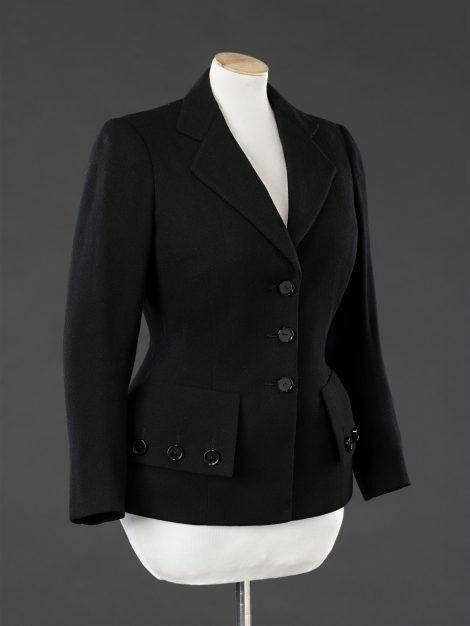 This late 1940s jacket, originally part of a suit, is made of black wool tweed, Molyneux favouring the use of British fabrics. 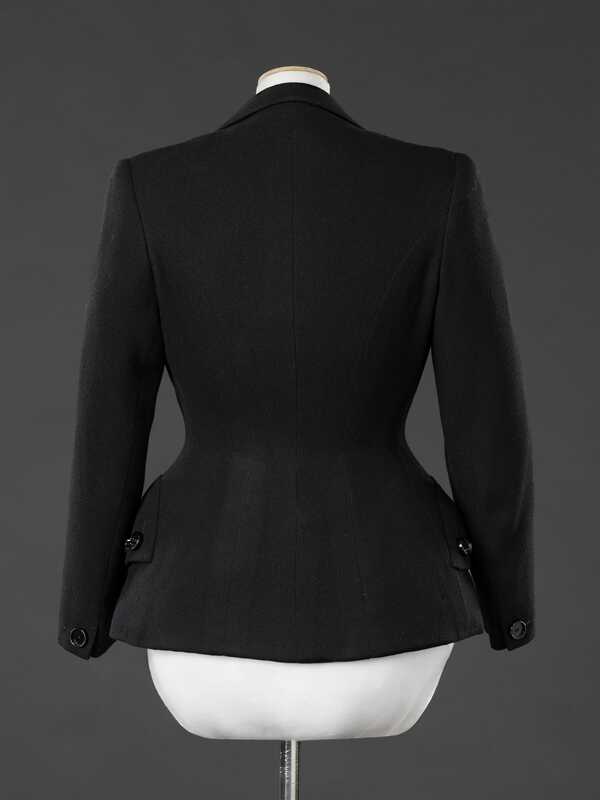 In common with contemporary designers he emphasised the hips with clever construction and with the large, non-functional pocket flaps, each decorated with five buttons. Not long after the jacket was made ill health forced the closure of both his London and Paris salons in 1950.